The Microbusiness Research Portal, a one-stop gateway to information and research, has been launched. 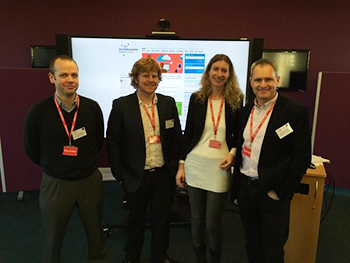 A joint project between the Centre for Enterprise and Economic Development Research (CEEDR) at Middlesex University, the Office of the National Statistics and the University of St Andrews, with the additional support of the Department for Business, Innovation and Skills, the portal was created as a direct response to the need for increased research into the considerable changes in the scale and scope of businesses with fewer than ten employees. As the number of microbusinesses has increased rapidly in recent years, capturing and understanding the changing nature of microbusiness activity has become a key research and policy challenge. For the first time, the Microbusiness Research Portal provides policymakers, academics and practitioners with a source of research evidence, publications and resources; easy-to-access, detailed coverage of all UK data sources, information and resources related to microbusiness; a forum for debate and discussion on the growth and development of microbusiness to inform policy and practice; and details of news and upcoming events. "The response to the portal has been overwhelmingly positive. Clearly it meets a real research need. Working with partners to create this has been a rewarding experience and I look forward to working with them in the future to further develop the portal." The launch of the website has also been welcomed by the industry. David Nash from the Federation of Small Business praised the portal as "an interesting and important initiative". You can access the portal at microbusiness.ac.uk.